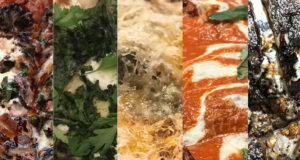 Home / Miscellaneous / Saag Paneer Pizza? Midtown Lunch reported on this crazy concoction earlier this week and gave it surprisingly positive reviews. It’s actually not as weird as you would think. 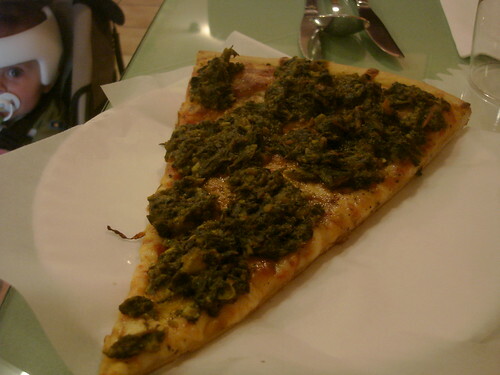 You can get pizza topped with spinach at a regular pizza place, why not pizza topped with Indian spiced spinach. And since saag usually comes with paneer (Indian cheese), it worked pretty well with the cheese on the pizza. A tasty treat!